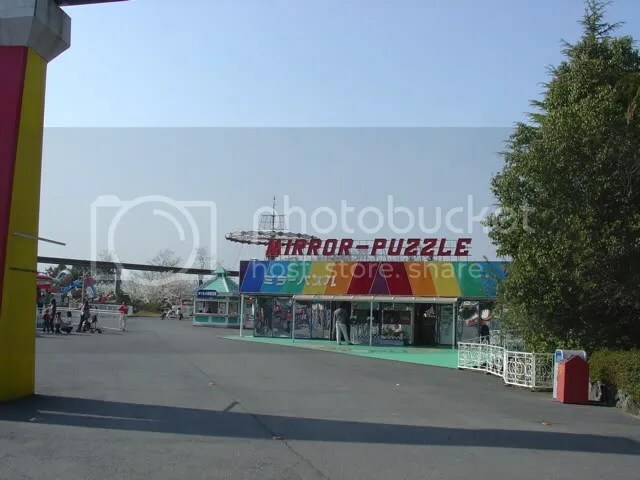 Several months back, I wrote a #TBT post about our visit to Nara Dreamland, which was a theme park in Nara, Japan that opened in the 1960s. 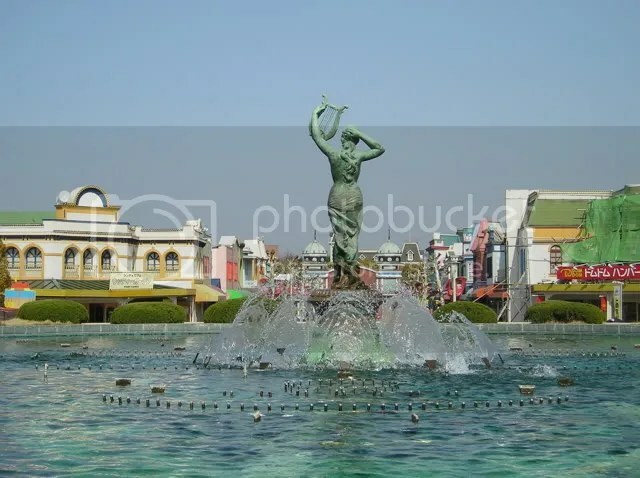 If imitation is the sincerest form of flattery, then Disneyland should have been very flattered, because Nara Dreamland was an obvious knockoff of (or shall we say “was very much inspired by”) the famous park in Anaheim, CA. 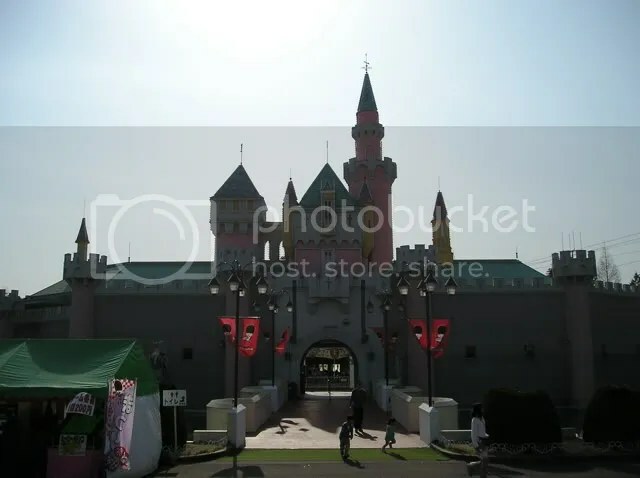 As the story goes, the people who were going to build Nara Dreamland were in negotiations with Disney and then…weren’t. 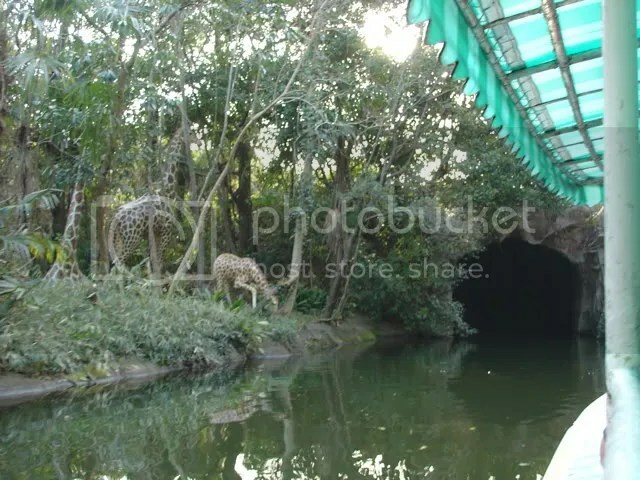 But they still kept the Disneyesque look of the park. 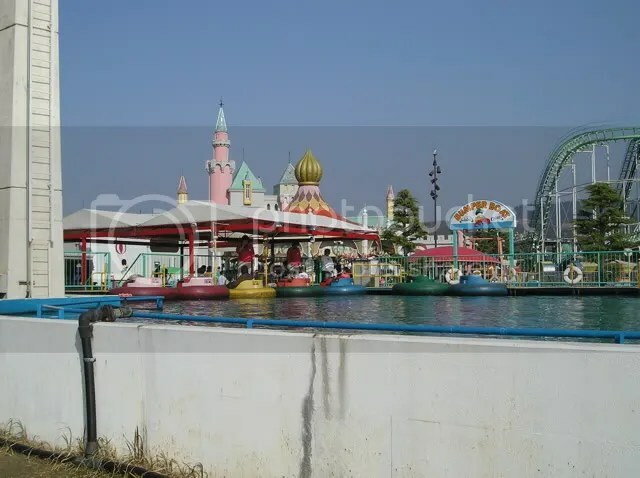 Thanks to the building and growth of Tokyo Disneyland, Tokyo Disney Sea and Universal Studios Japan, the years hadn’t been kind to Nara Dreamland and by the time we got there in April 2005, it was obviously on its last legs. 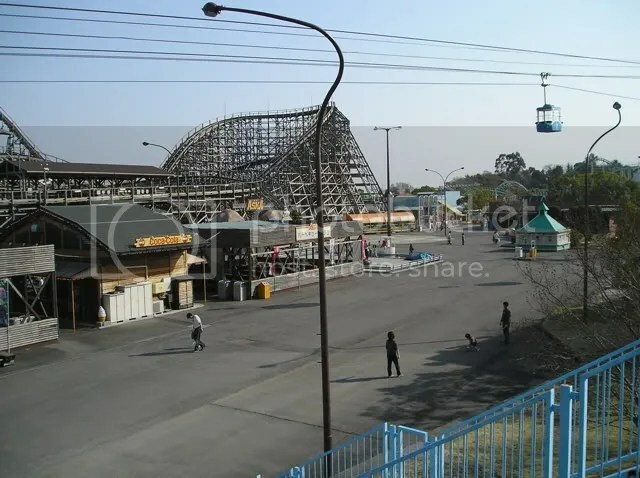 The park closed in August of 2006 and after sitting abandoned for more than a decade, demolition of the property began in October, 2016. 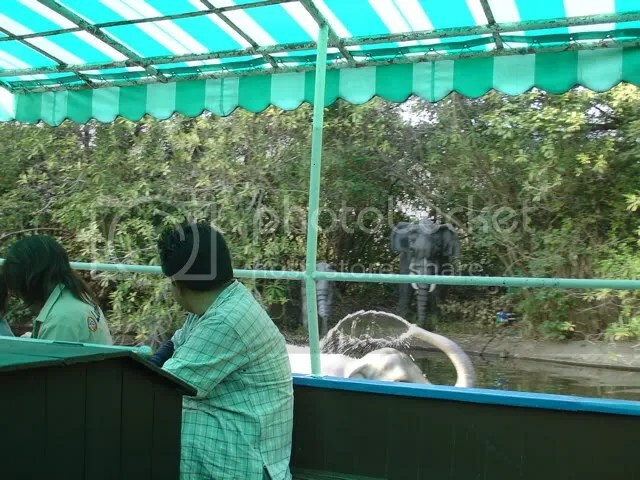 I had mentioned in my #TBT report that Joe was positive we had video footage of our visit. Well, guess what? We found it! The first part of our day was stressful because of timing factors, the second part of our day was a Disney knockoff that was hysterically funny and the third part of our day was, well, hungry (grin). 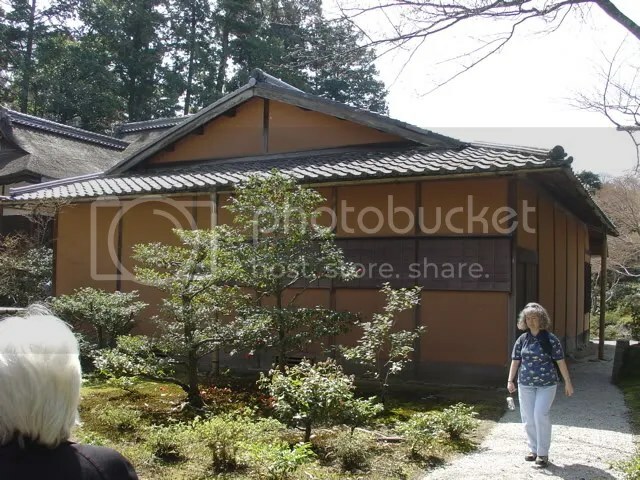 Well, we THOUGHT we had it all figured out…how to get to the Shugakuin Imperial Villa. You have to get special permission to go and we had gotten that the day before. Joe, who had been obsessively planning this trip for the past 9 months, had every street, bus and subway map known to man, plus how to get from Point A to Point B throughout the country…but apparently only carried SOME of the written material we needed today…so today was the day of “miss the bus by ‘this’ much and have to wait 20 to 40 minutes for the next one.” We grabbed some pastries at a local bakery for breakfast (didn’t eat them yet because Japanese people don’t eat on the streets and we were traveling) and waited for the next bus. 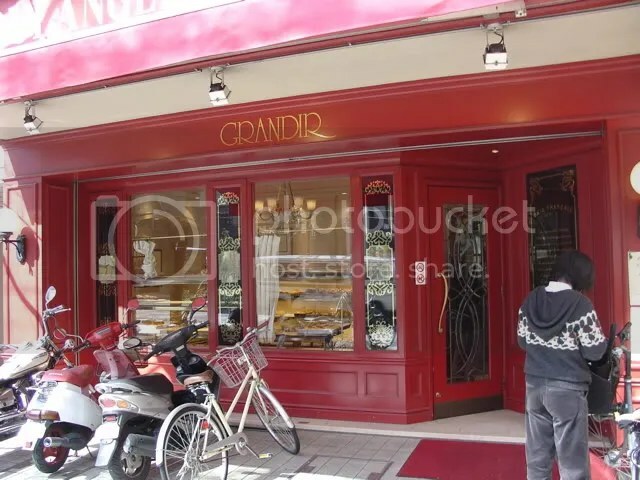 A shot of the pastry shop. 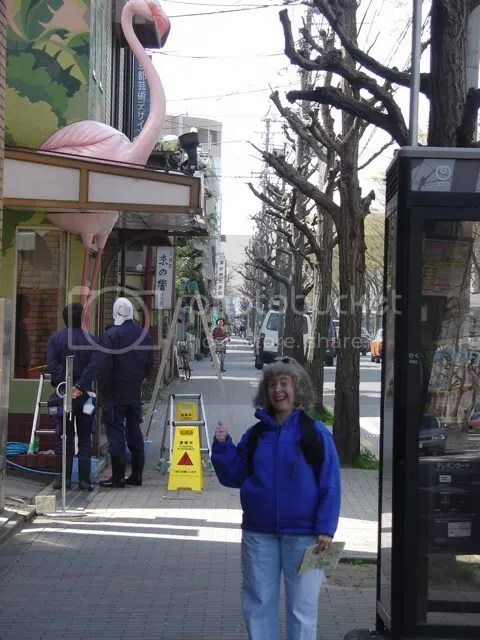 This flamingo place was actually directly across the street from the bakery, so while we waited for the bus (the bus stop was directly in front of the bakery) I wound up taking a good half-dozen pictures of the flamingo. With a zoom. Without a zoom. Trying to not get a bus or car into the picture as they were passing by (grin). I have no idea of what this store was. 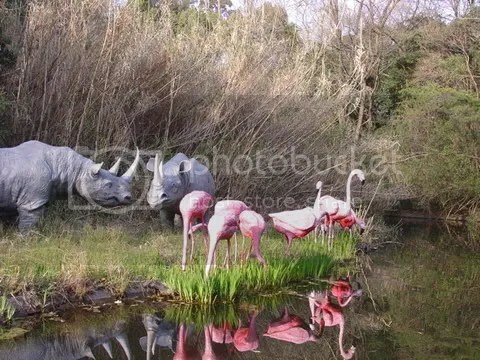 In fact, it didn’t even look like it was open for business yet, but with how much I like flamingos, it gave me a good giggle. Anyway, after the bus let us off (we also had no idea of where to get off the bus. I gave the deer-in-the-headlights look to the driver and said, “Shugakuin, kudasai?” [Shugakuin, please? ], so he would tell us when our stop was), we had to figure out which direction to go. Joe’s books just said to look for the place when we go off the bus. Well, it certainly wasn’t anywhere in sight. And we didn’t see any signs. Not in English, anyway. So I, being a female, was more willing to stop and ask for directions. 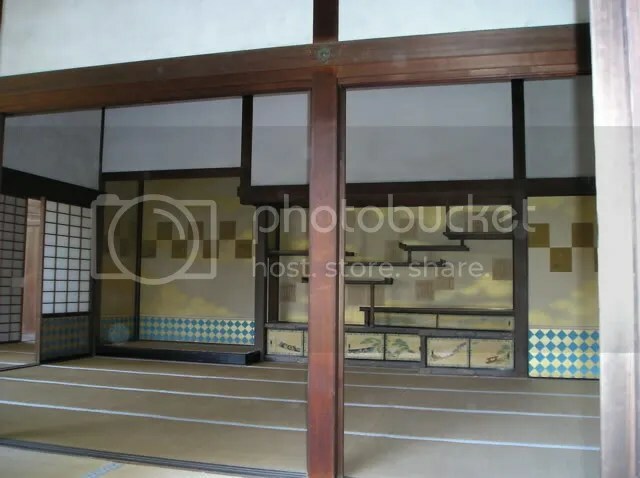 I went into the local liquor store (I think that’s what it was) and asked the proprietor (who had like, 4 teeth), my now-obviously-helpful, “Shugakuin, kudasai?” (hey, it got us off the bus inn the right place, didn’t it?). His response was to point, give me 2 fingers, and said, “Left. Up.” OK, so when we go out of the store, we have to walk down 2 blocks that way, make a left and walk up the hill, towards the mountains. Gotcha. And sonofagun, it worked. 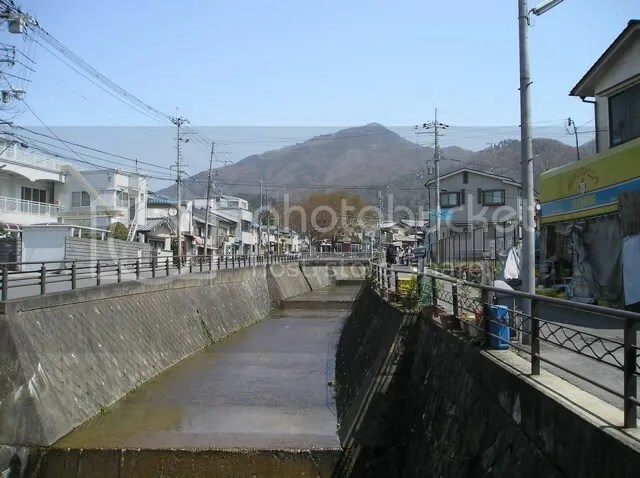 Pity it took almost a half-hour because the “hill” was a half mile of a residential neighborhood with winding streets and a canal through the center of it. 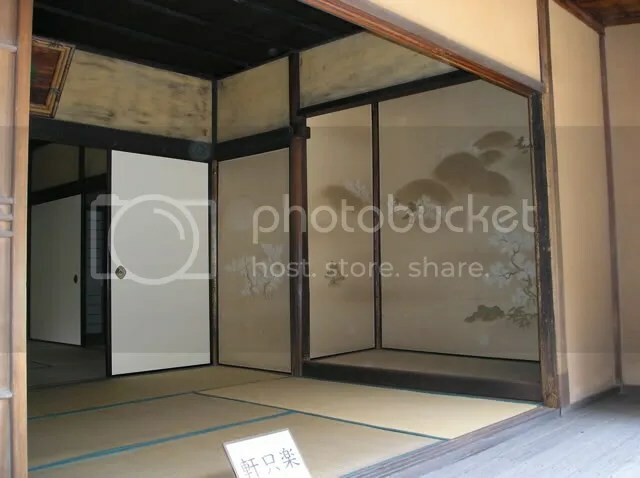 We finally made it to the Villa, albeit 15 minutes late and they were gracious enough to lead us to the rest of our 10:00am tour…which, as it turned out, was spoken entirely in Japanese. Everything on the walls were painted by hand. A different style of wall decoration inside of one of the buildings. Our tour group looking at the outside of some of the buildings. Me walking away from one of the ancient buildings. Or maybe it was the ladies’ room? I forget. A view of the rest of the property, and beyond, from the highest hill in the complex. 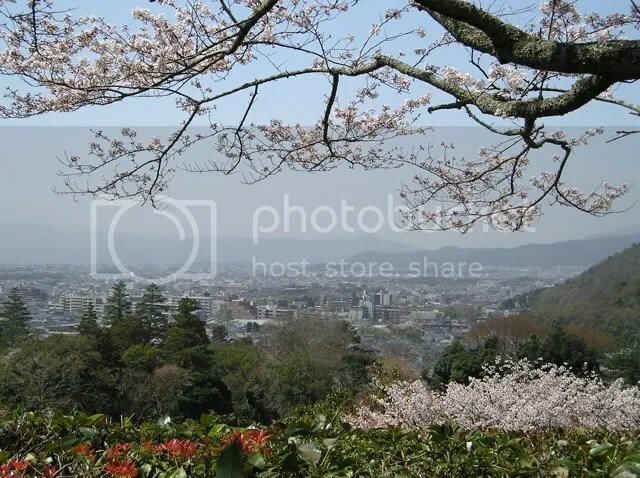 A view of Kyoto from above, as seen at the Shugakuin property. 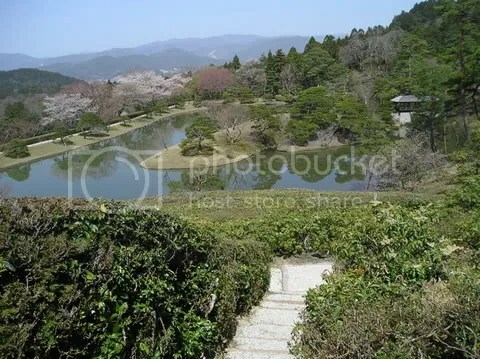 After the 90-minute tour, we stayed at the front gate and ate our pastries, then decided to go to Dreamland, which was in Nara, a 40-minute express train away. 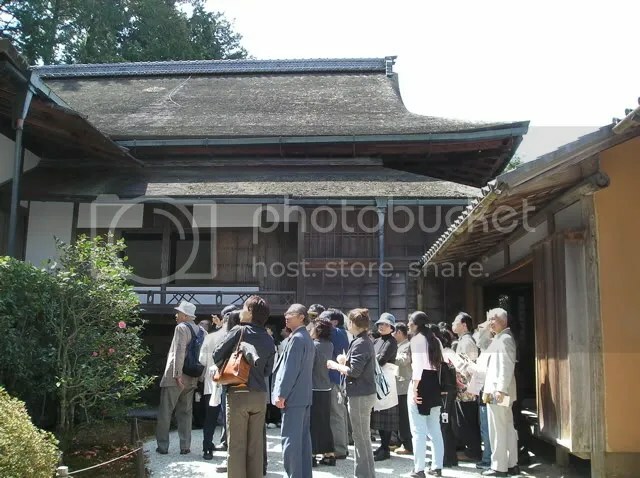 Saturdays in Kyoto are HUGE tourists days so noon was not the best time to be taking a bus. An hour and a half later, we were back at Kyoto Station, finding our express train to Nara. No time for food…we had to find our train! 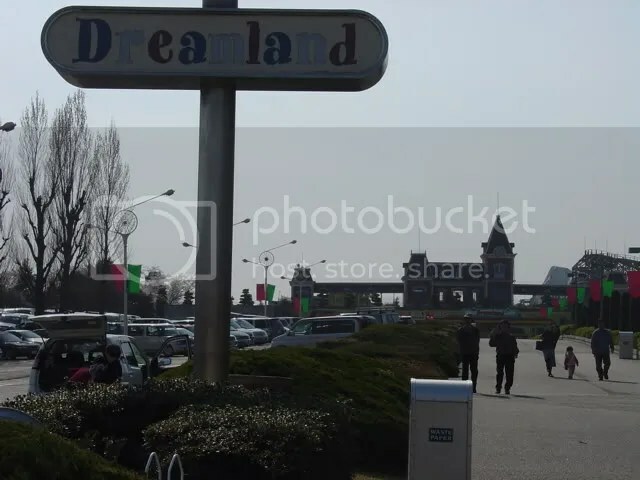 We eventually got it, as well as our bus to Nara, and there it was…Dreamland! 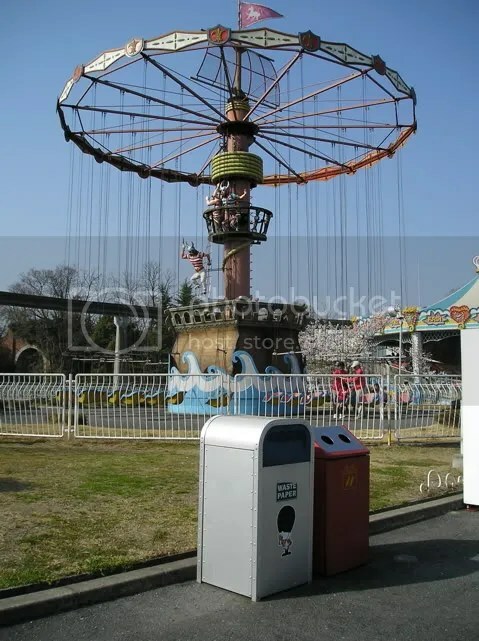 The kiosks where you pay to park, if you drive to Dreamland. 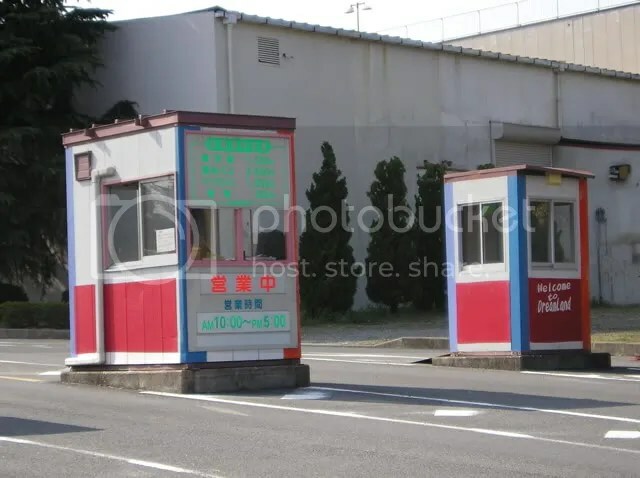 Don’t know if you can read it, but it costs almost $20.00 to park there (parking is VERY expensive all over Japan) (MODERN-DAY NOTE: Remember, this was written in 2005, when $20 to park WAS expensive). 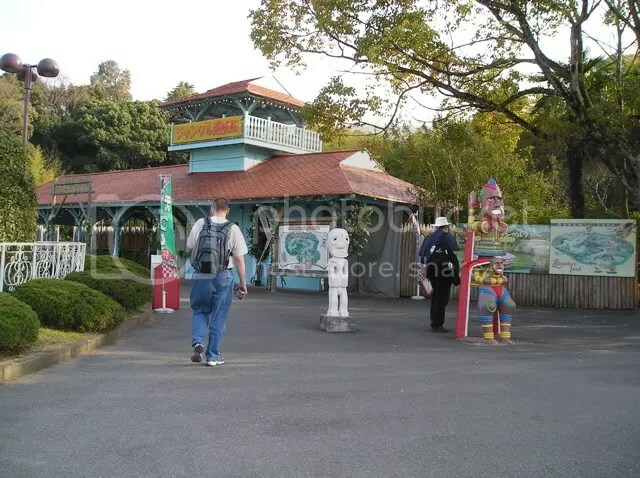 The kiosks look so friendly, so inviting, so well-themed…well, maybe if you’re going to a jail. The front entrance actually looks pretty darn nice, huh? 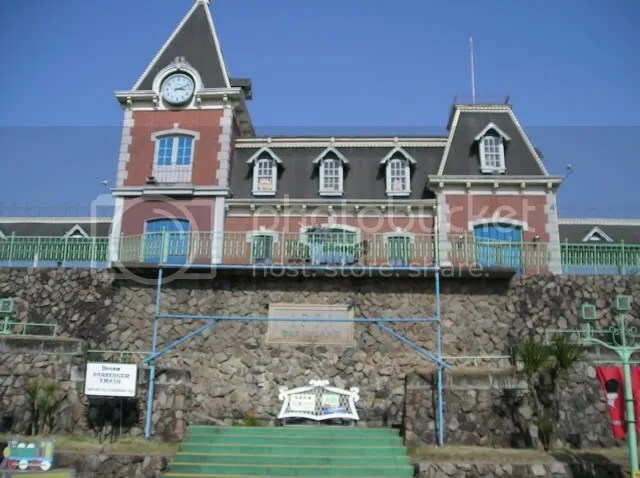 The back of the train station. If you look carefully, you can see me doing my impersonation of Evita Perón. 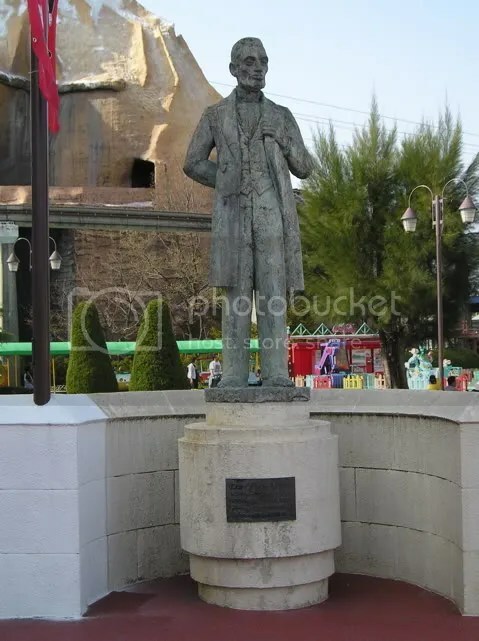 A walkabout character in the “town square.” I don’t know who he is or if he even has a name…his image isn’t ANYWHERE else in the park (whose logo seems to be a soldier). 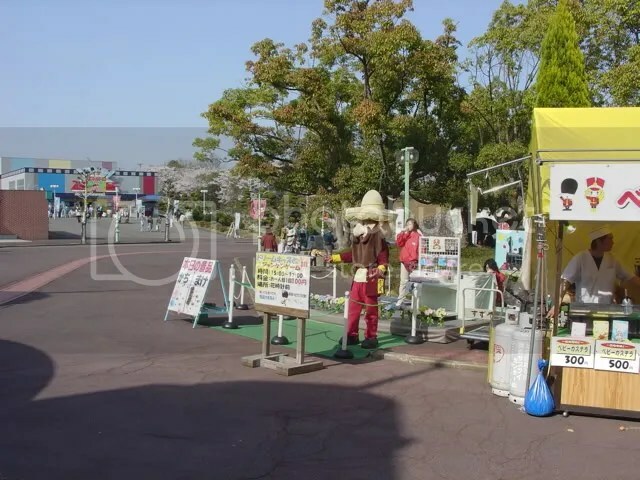 He just stands there and for about $1.00, he plays a game of “Rock, Paper, Scissors” with kids, who win a trinket if they outsmart the oversized Frito Bandito. He took one look at us and started picking his nose. No, really! 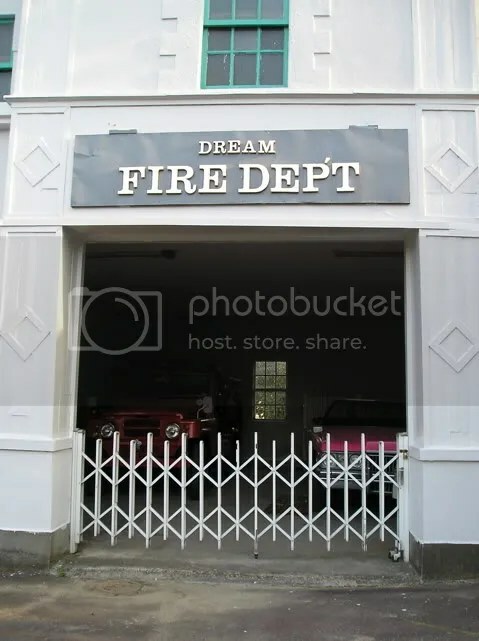 The Dreamland fire department, right where you would expect it to be, on the left side of the “town square”. 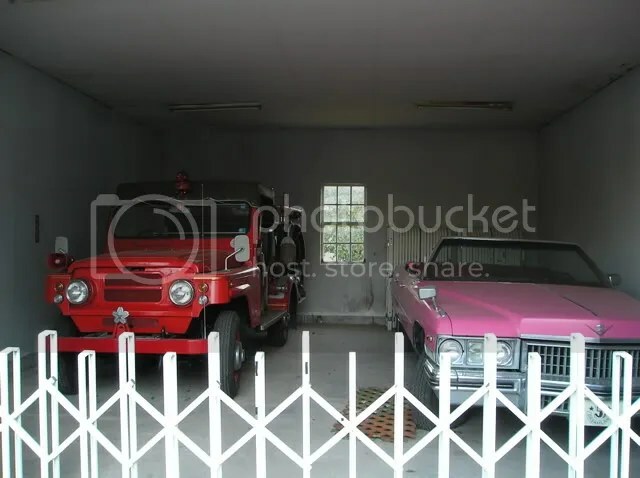 And every fire department should come equipped with a pink Cadillac and a Jeep, right? You can’t tell the angle of this picture, but the Caddy was being held up by cinder blocks. 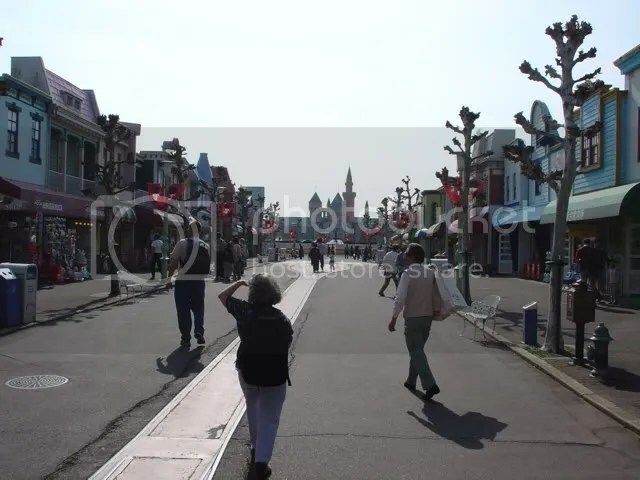 A view of their version of “Main Street” and their castle, far off in the distant background (it’s hard to do the forced perspective thing when the buildings and trees are all the same size). 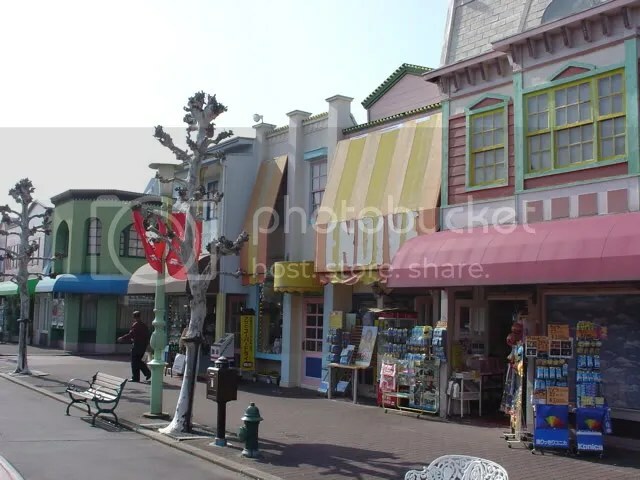 A closer image of one side of the street. Ooooooo….now, THAT’S pretty. 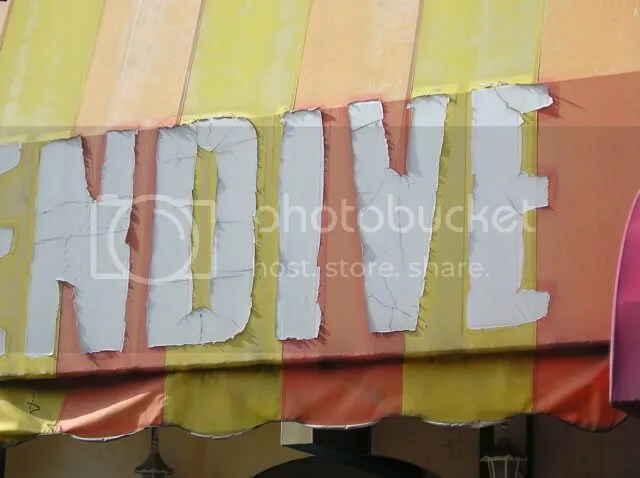 Yeah, this place really IS a DIVE (grin). Good emulation there, because Disney “Main Streets” ALWAYS have a utility truck parked on them, right? 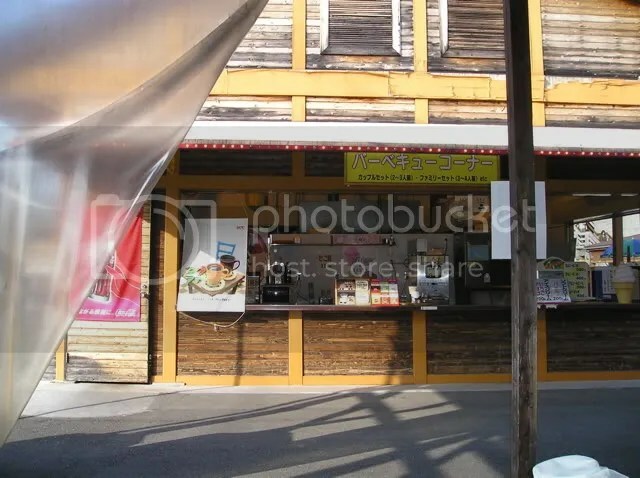 Note the name of this restaurant on “Main Street”…Woody Garden!?!?!? This HUGE fountain encompasses most of “the hub” area (this view is looking towards the train station). It looks like it would be pretty nice, if they turned on more than just the one center set of water jets. The castle doesn’t look half-bad if you’re not CLOSELY close-up, even though it doesn’t have a whole lot of detail. 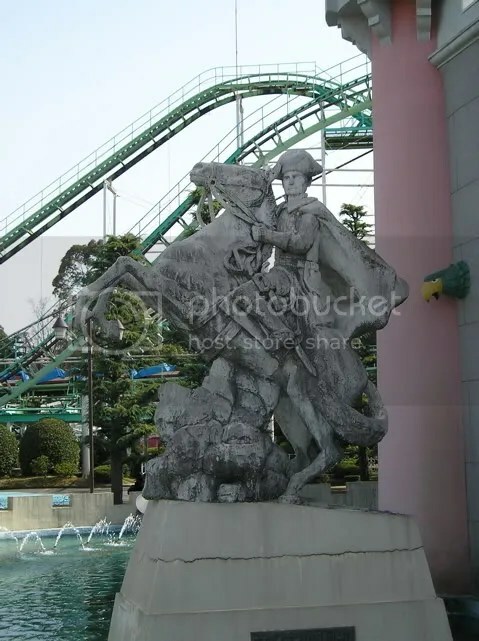 Of course, EVERY castle in Japan should have a statue of George Washington in its moat. 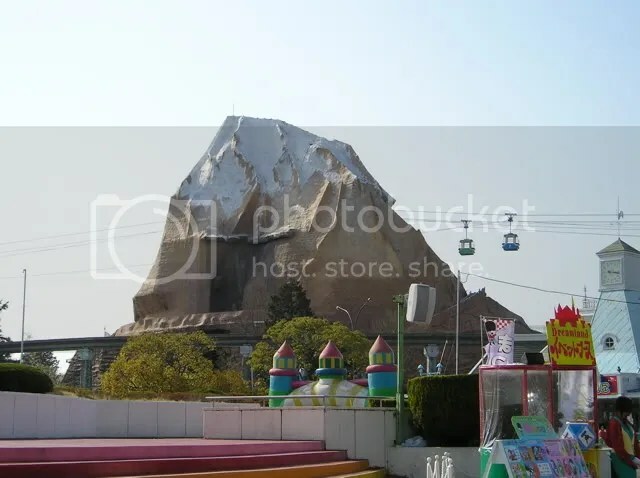 Their “Matterhorn” looks like it’s made out of cardboard, doesn’t it? Or maybe it’s papier mache. I like how the Skyway goes right through the center of the thing, like Disneyland’s used to. The Dreamland Skyway was closed, by the way. It was constantly moving (maybe they were afraid if they stopped it, they’d never be able to get it started again? ), but no one was on it and no one was manning either entrance. 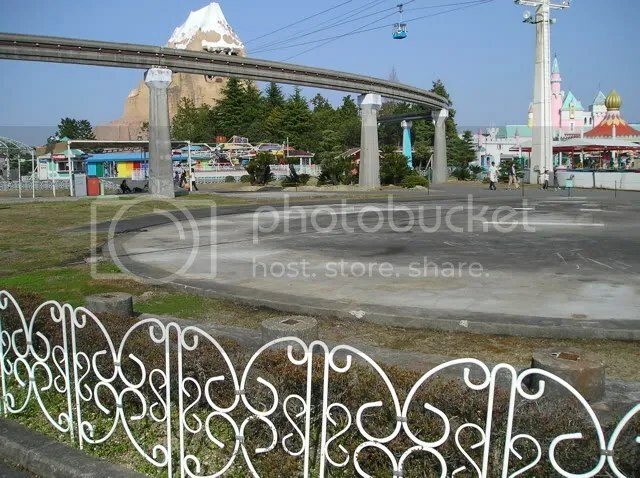 Here’s the monorail, with the Matterhorn in the background. 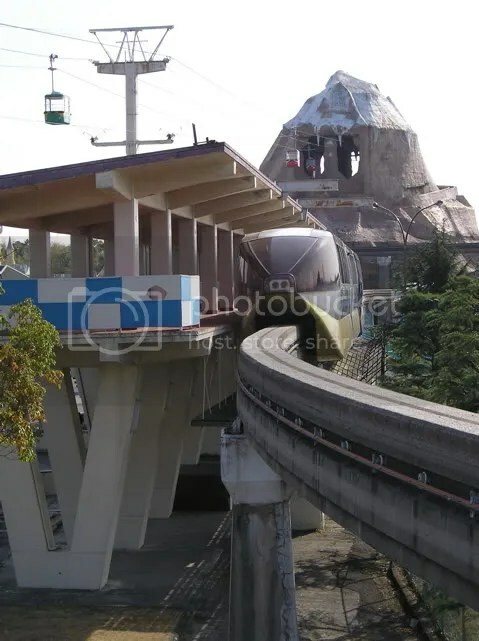 The monorail wasn’t running either…just sitting there, collecting dust and dripping grease. 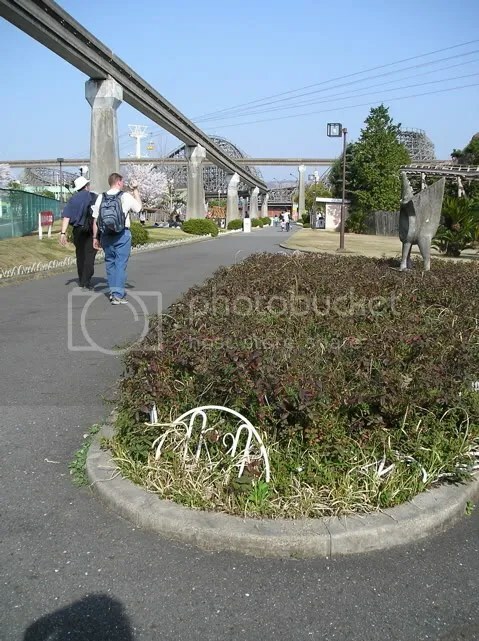 I love what they did with their landscaping. The Swan Cycle ride. 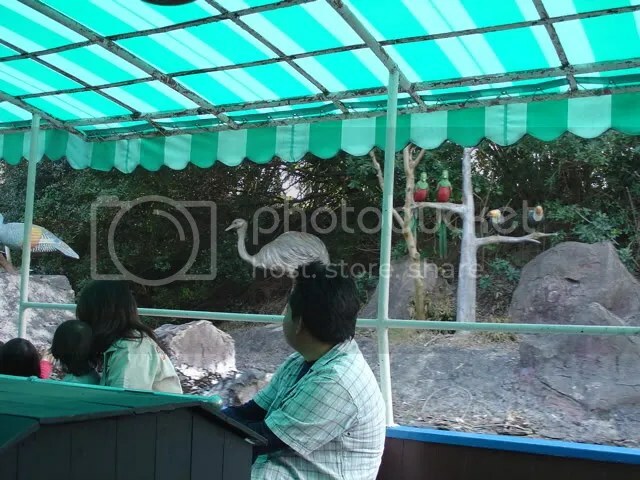 You go in a molded swan boat that has bicycle pedals in the bottom and PEDAL your way around the ride! No, REALLY! 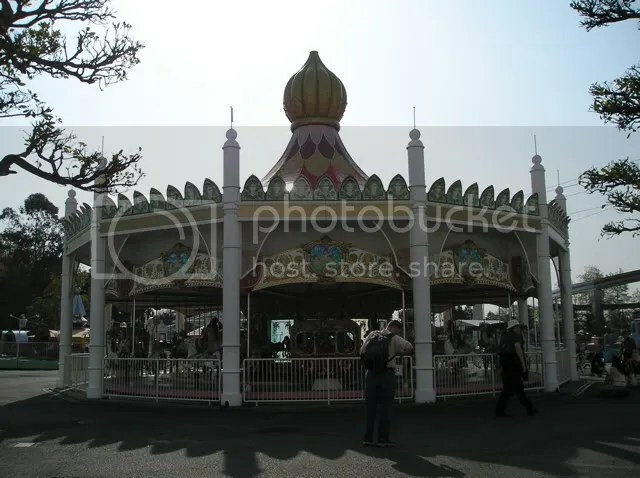 European-made Carousel (American-made ones go counter-clockwise). The horses didn’t even go up and down. 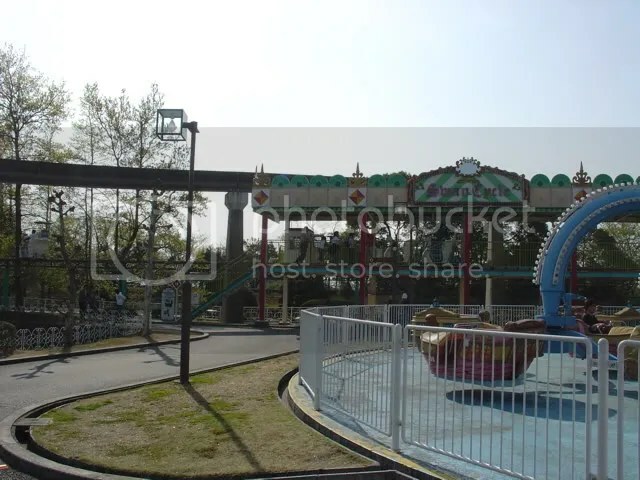 …and Bumper Boats. Nice line of scum on the bottom of the boats, huh? 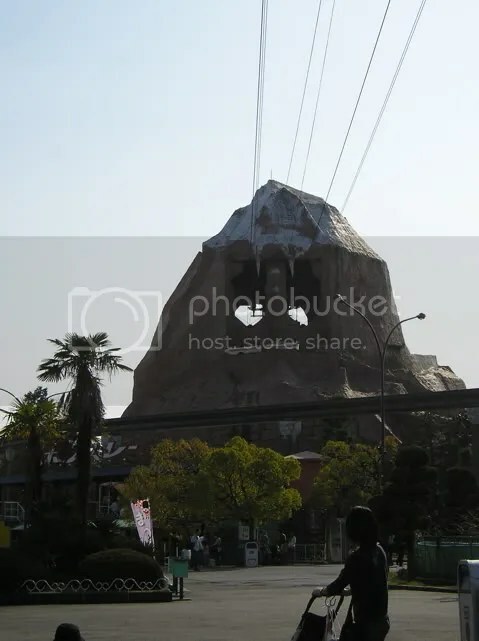 We never figured out if this was the entrance to a haunted house or to the Matterhorn. 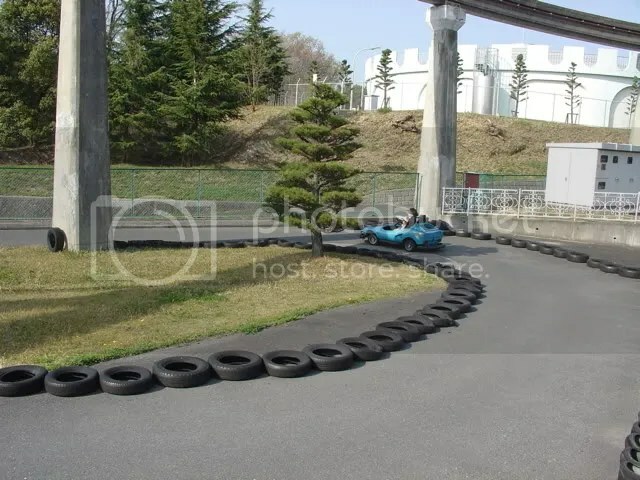 Grand Prix Raceway it ain’t! The Flash Dance ride. What a feeling! 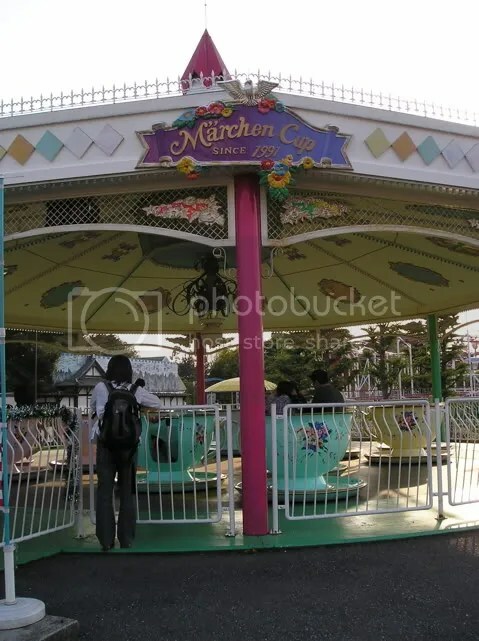 Screw Coaster, huh? 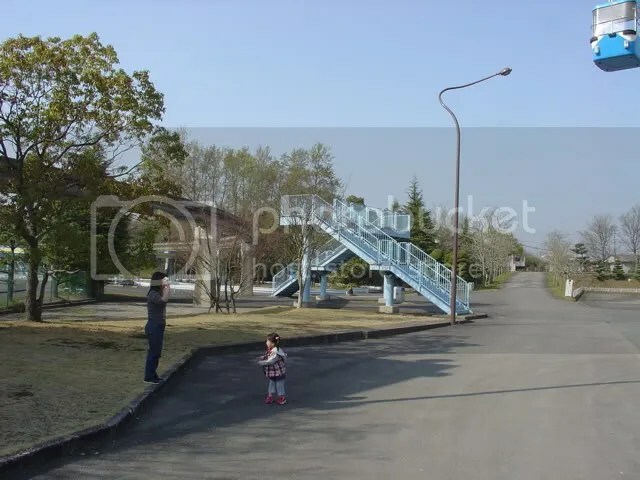 Well, I guess EVERYONE is screwed when they come to THIS park (grin). I dunno. 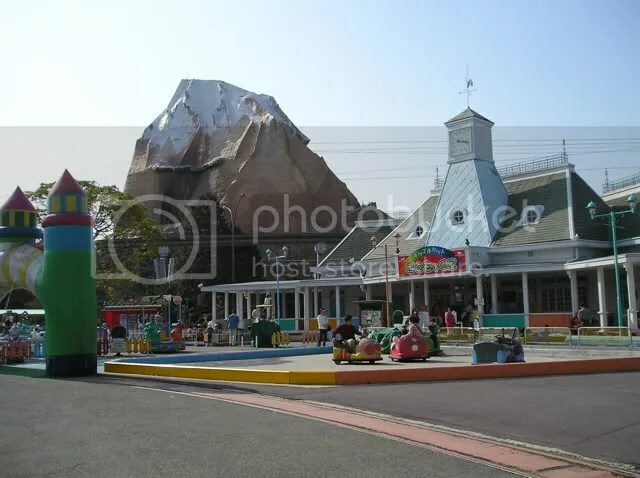 I guess it’s the “ride that used to be there but isn’t there anymore” attraction. Joe suggested it was a UFO landing pad. 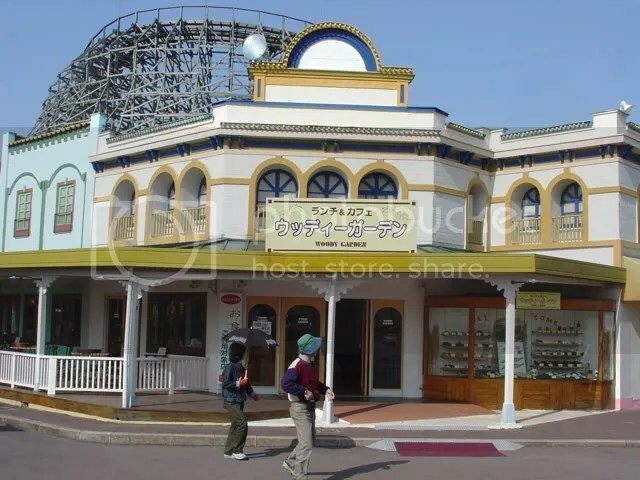 The one GOOD ride they have there….a roller coaster called Aska. 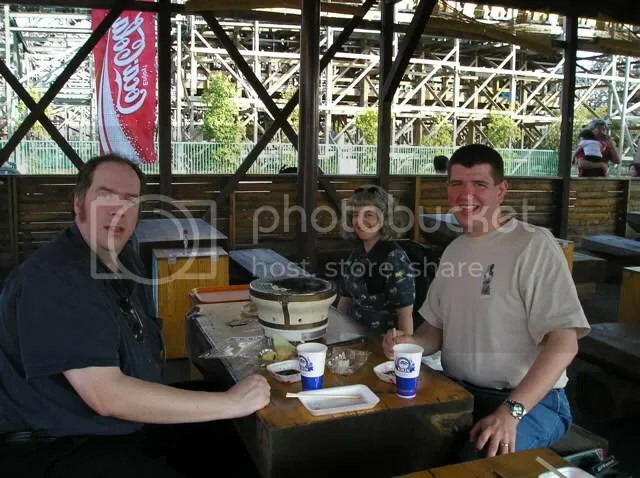 I don’t “do” coasters, but Joe and Steve said it was very, very good, with LOTS of airtime. 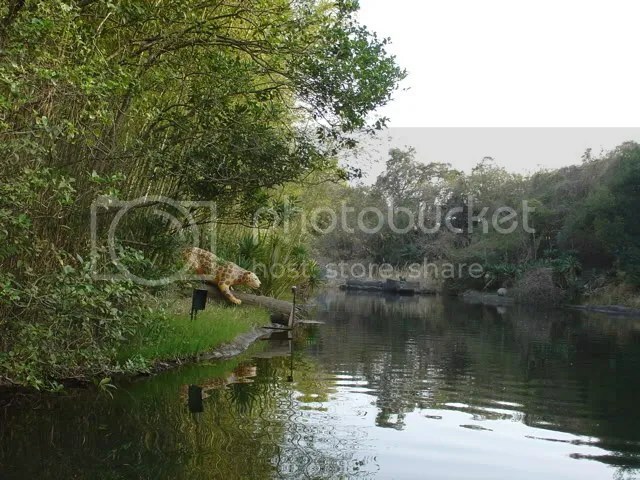 Meanwhile, look at the throngs of people in this picture! 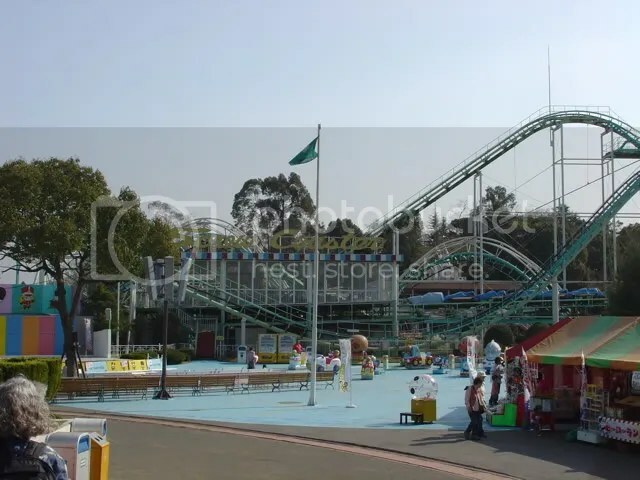 They had a lot of baby rides at this park. 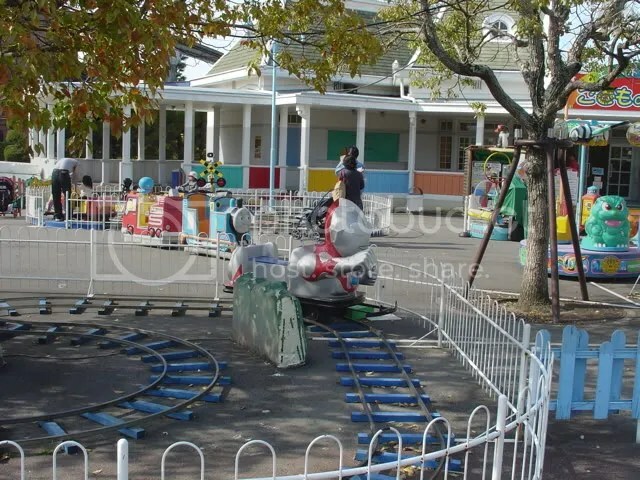 I like the white fences that they put around some of the rides. Really high-tech. 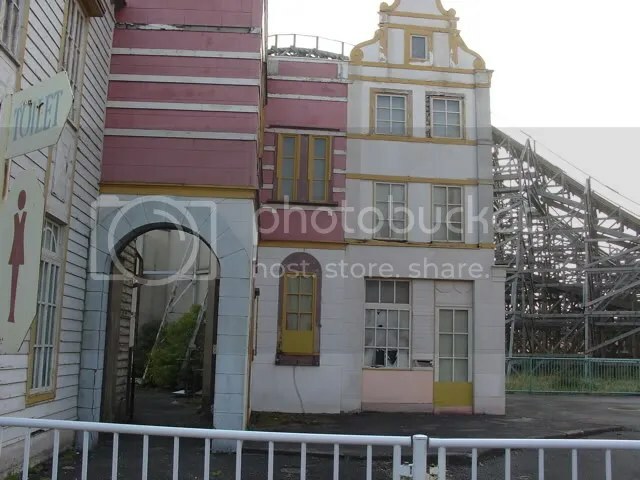 Someone called this the “ride that goes nowhere” ride. Walk up the stairs, go across, go down the stairs. Fun, fun, fun! 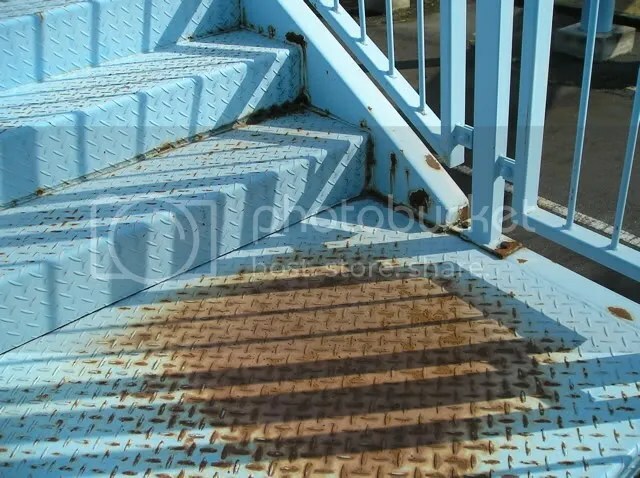 And we complain about poor maintenance at the Disney parks…..HA! …and Steve saw they had some sort of meat dish for about $20.00. He picked that and the owner motioned for us to sit down at a picnic table. The guy brought over an ashtray…”Smoke? Smoke?” (EVERYONE in Japan smokes) “No thanks, we don’t smoke.” He went back to (we thought) preparing Steve’s meal. 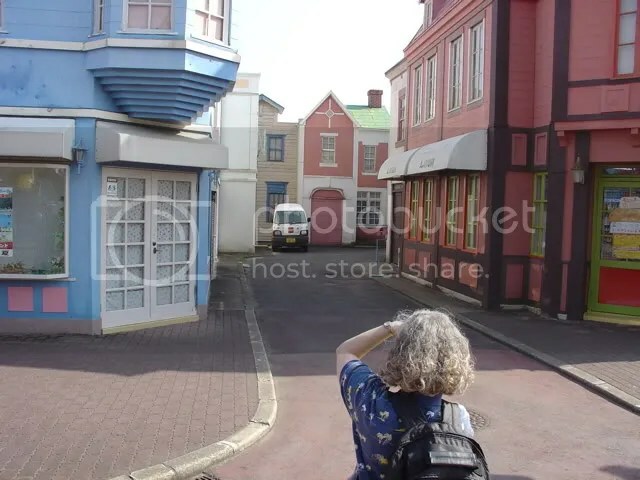 By this point, I left to go in search of Dreamland souvenirs. 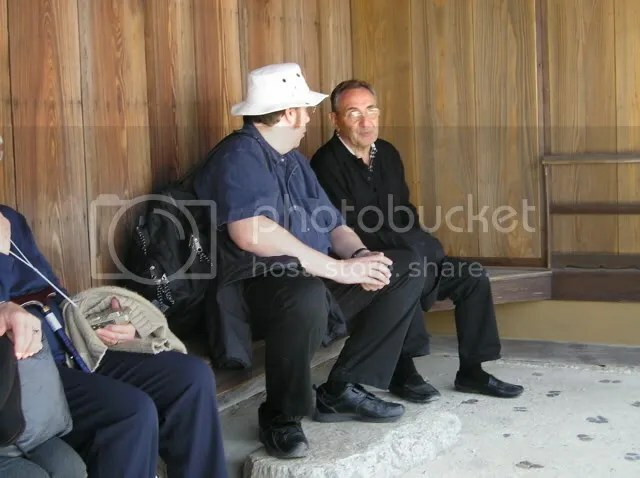 By the time I come back, the guys had this portable hibachi unit on their picnic bench, which is connected to a gas line coming out from under the table. And they were sitting there, grilling the food! 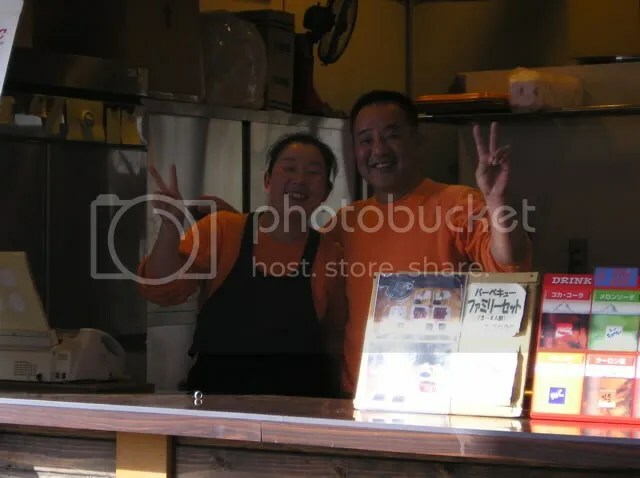 He started talking with us more and more, asking where we’re from and how long we’ll be in Japan, His English was just slightly better than our Japanese, but we were still able to converse, albeit in a simplified way. At one point he looked at Joe and then at Steve and said, “Your son?” We burst out laughing at that (well, Joe and I did [grin]) and I pointed to Joe and said, “No, my husband!” The guy said, “Oooohhhhh!” But then he got this really confused look on his face, looked at Steve, looked back at me and said, “Who three?” We laughed again and said, “He’s a friend.” “Ooooohhhh!” Then he pointed to the woman behind the counter and said, “My wife!” The guy must’ve been embarrassed that he referred to Joe as Steve’s son, so he gave me an ice cream cone. Hey, who am I to say no to free ice cream? Before we left the nice, unwittingly hysterical man, Joe said, “This food was very, very good. Thank-you very much. 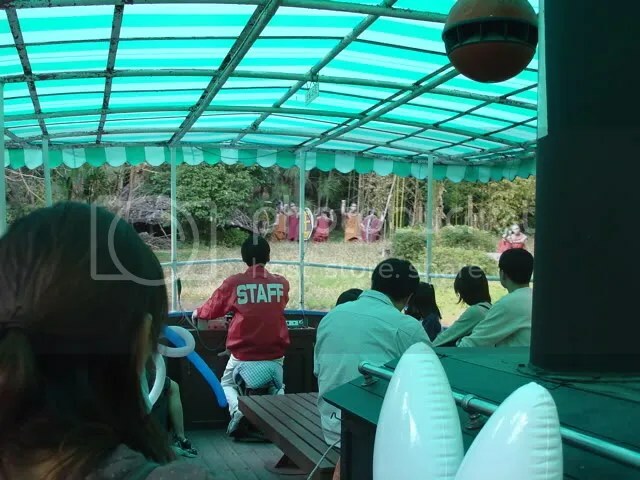 I would like to know the name of it, so that I can ask for it again. 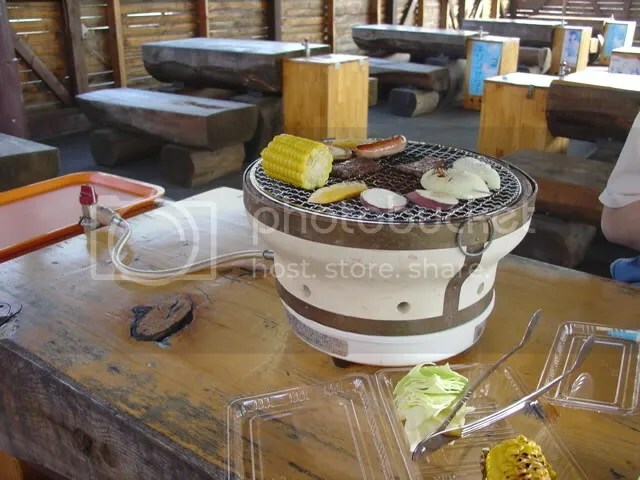 What do you call this kind of food in Japan?” And the guy looked at him and said, “Ahhhh…in Japan, we call this barbeque!” We almost wet out pants! 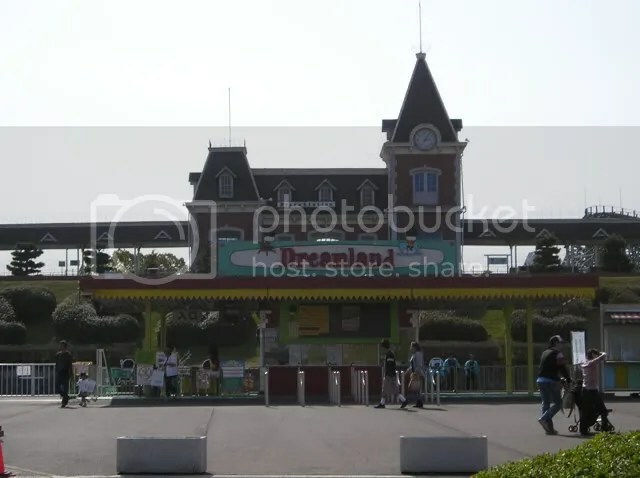 They were just another part of the reason that Nara Dreamland became such a strong, strangely pleasant memory for us. The entrance to the ride. 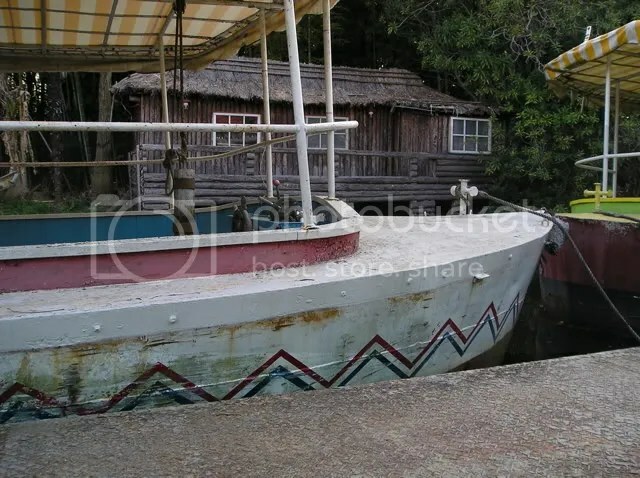 One of the boats. It didn’t look particularly seaworthy, but we figured if worse came to worse and we sank, the water couldn’t have been more than a few feet deep and w we’d be able to walk to shore. Of course, we’d have to fumigate ourselves after being in the scuzzy water, but…. 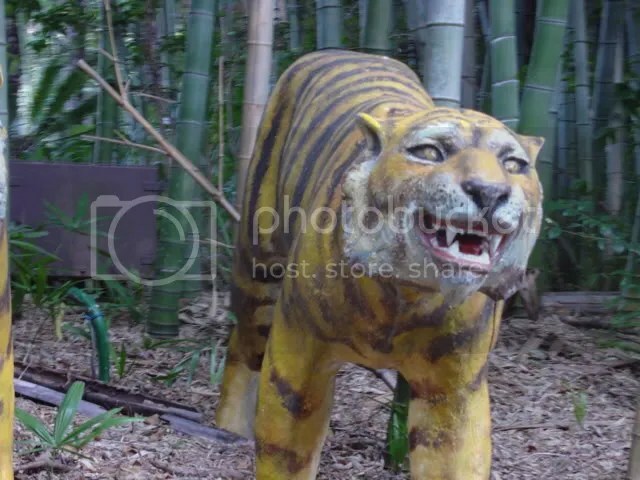 Ooooo….scary tiger! Well, scary he’s in that bad condition, anyway. 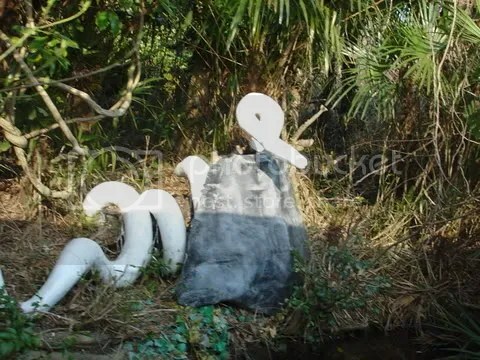 The snake is in 4 or 5 pieces. I guess it’s cheaper to buy it that way. But they sure did a lousy job of hiding where one piece ends and the next piece starts! The picture doesn’t do this justice at all. You see, it’s an action shot. The cheetah is on wheels on a track. 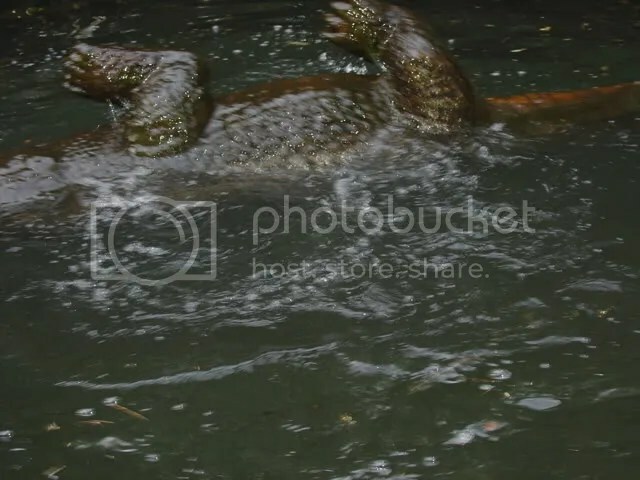 The wheels move up and down the side of the log at a snail’s pace, which therefore SSLLOOWWLLYY rolls the cheetah to and from the embankment! We almost wet our pants laughing at that one! Watch out for that stationary elephant with the garden hose coming out of its trunk! 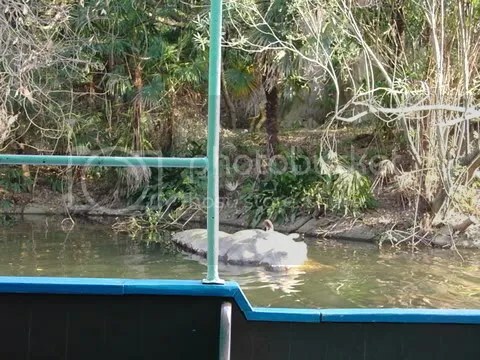 Someone must’ve used a real gun to shoot the hippo, cuz it was deader than a door nail. It just laid there, half-in, half-out, not moving. And here, ladies and gentlemen, is where we have a pheasant, an ostrich, 2 parrots and some toucans, all living in harmony in the same place. It doesn’t matter than in real life they’d be on different corners of the earth…in Dreamland, anything can happen! 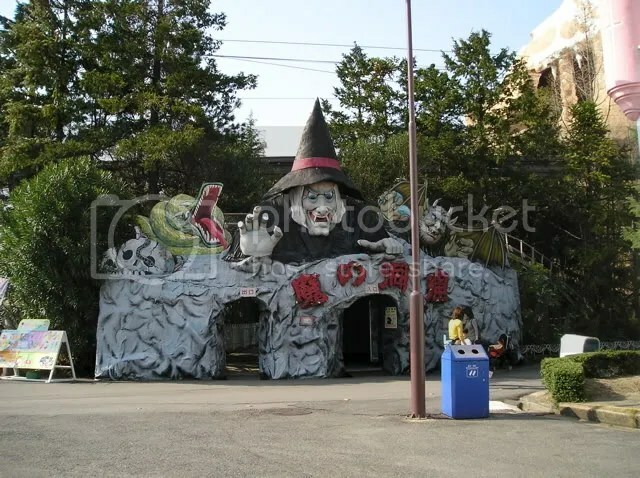 Oooo…the suspense is killing me more than the ride is…here comes the dark, scary, cave! 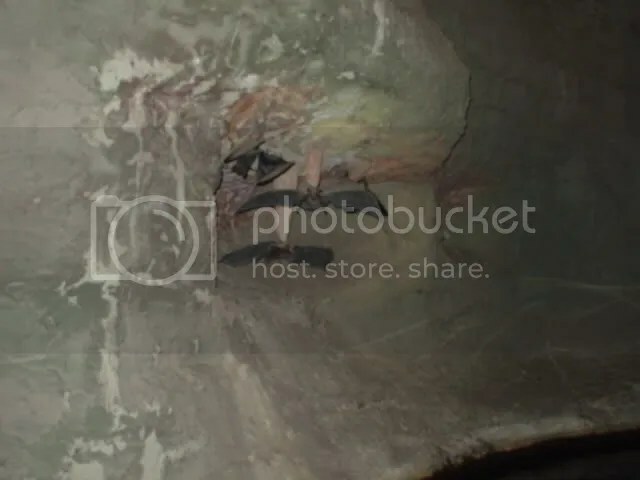 What was in the cave? 3 sets of bats. That’s it. This picture is set #1. Only 2 of them still flapped their wings. I especially like how they hang right side up from the stalactites. Another “action shot.” This alligator had a stick coming out of its tail and the stick was connected to a motor that made the whole thing spin in circles. 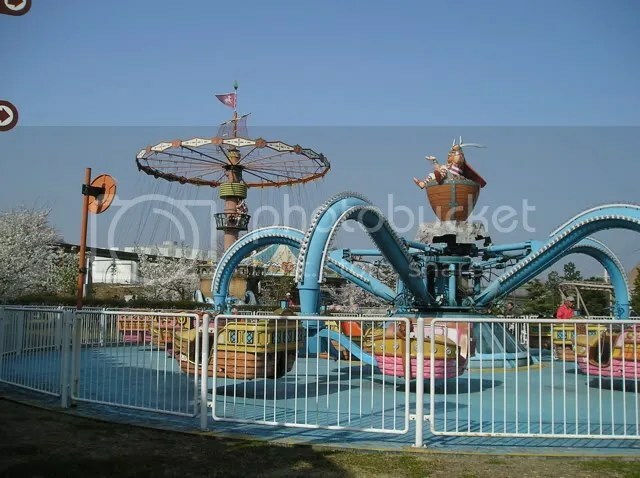 So that, my friends was the Dreamland version of an alligator in a death spin. Us Floridians preferred to call it gator on a spit. Shot taken after we exited out boat (nope, it didn’t sink!). Native #1 looks like he had a stroke. 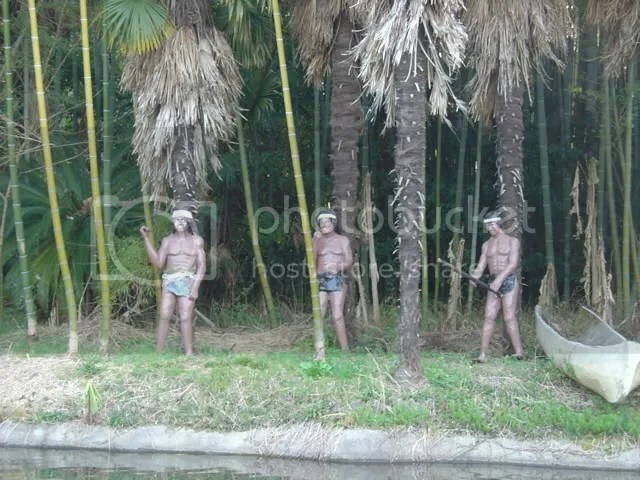 Native #2 looks like he’s scared of the bamboo that’s growing in front of him. And native #3 just looks…um…very happy with his lot in life. it really is an awful park. But we turned it into a REALLY fun afternoon. 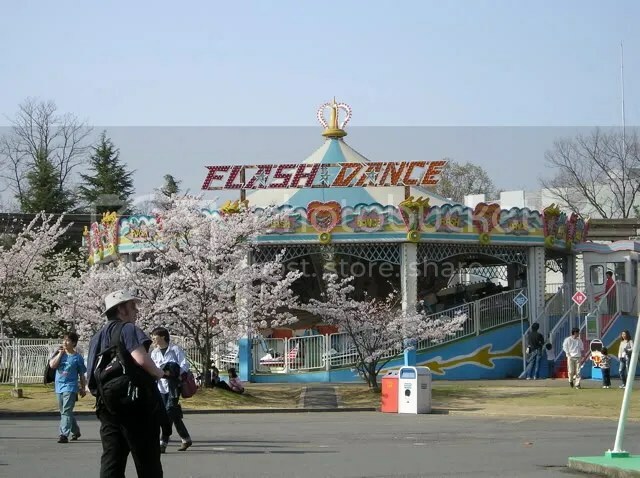 By the way, this is an article some other people wrote about their trip to Dreamland in 2004. 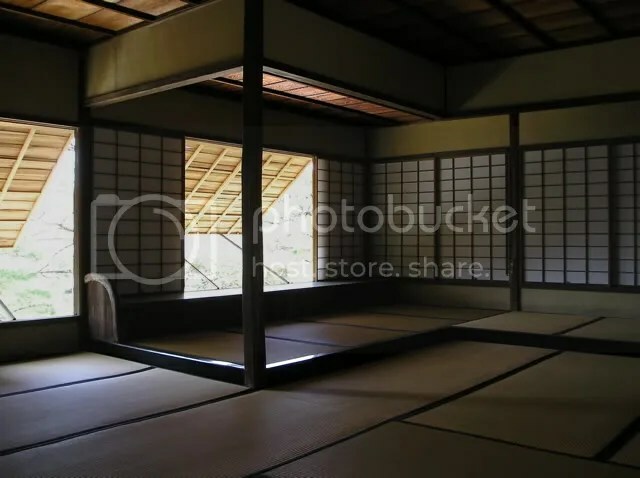 Their website also have some nice video links of the place. 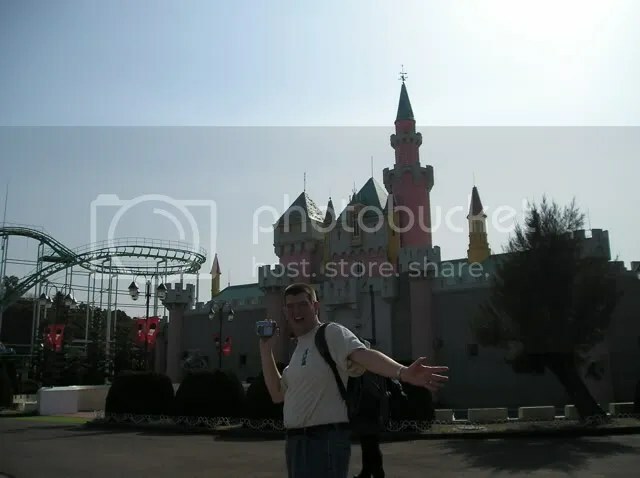 MODERN-DAY NOTE: Joe is positive we have some videos of Nara Dreamland too, but we can’t find them. As soon as we do, we’ll put them up on YouTube so you can share in the so-awful-that-it’s-great -ness. Made it back to Nara Station…a tiny train station, so no food there, but we figured we could get something at Kyoto Station when we got back there. Not. The restaurants were PACKED, with lines outside every restaurant. SO…we decided to catch our shuttle bus back to our hotel and eat something there. Shuttle arrived on time at 8:40pm and we got back to our hotel at 9:20pm…and EVERY restaurant AND room service closed at 9pm. By this time, with just a noon pastry and 2 bottles of soda (Fanta sweet grapefruit…mmmm!) in me, I was hungry and hypoglycemic. And the guys were hungry too. And so, with chowing down on the “Take Five” candy bar that I had bought during our stopover in Chicago 2 or 3 days ago, we went to bed at 11pm. Between the walking and the steps and the lack of most snacks, I’m gonna lose a LOT of weight this trip. Tomorrow is Hiroshima. And food. We will make sure to leave time for food.